Are you looking for the perfect gift for GAA fans? A novel gift idea for someone with a passion for GAA, history or culture is an exclusive annual membership to the GAA Museum’s ‘Friends of the GAA Museum’ programme. By becoming a friend of the GAA Museum, you will make a crucial contribution to its ongoing and future development. Funds raised through the programme will assist in the acquisition of artefacts and documents, care of collections and enhancements to existing displays. Our friendship invitation is exclusive, as we can only offer 200 annual friendships. Don’t miss this opportunity to be a unique part of the both the GAA’s past and future. Your support today is hugely appreciated and will help us to inspire the generations of tomorrow. We look forward to many years of friendship to come. 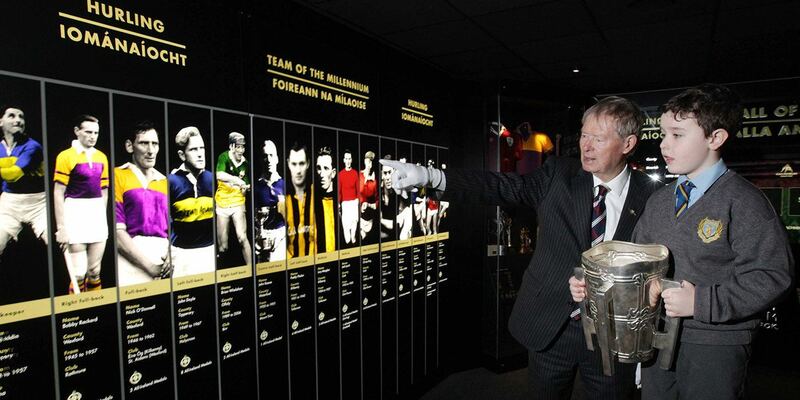 To celebrate the launch of this new initiative, broadcaster and commentator Mícheál Ó Muircheartaigh was made an ‘Honorary Friend of the GAA Museum’ in recognition of his legendary contribution as the voice of Gaelic Games for more than six decades. An official presentation will be made to Mícheál at the first Friends annual gala event.